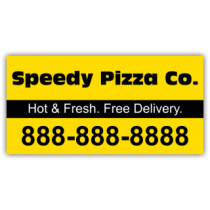 Never stop advertising your business or event with a restaurant car magnet from SpeedySigns.com! 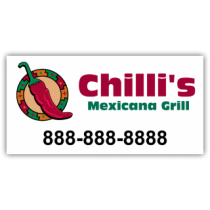 Your restaurant car magnet can easily be mounted to most metal surfaces. 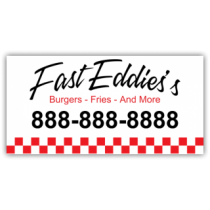 Put a restaurant car magnet on your vehicle for non-stop promotion for your company or message. Pick the right shape, colors, and size for your vehicle with our intuitive design tools. 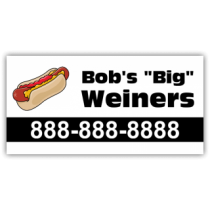 This is a terrific way to get your message noticed. 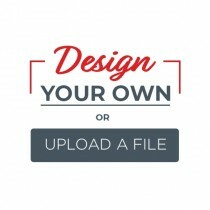 For pennies a day you are getting your information in front of hundreds of people. 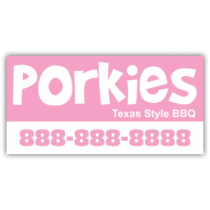 We specialize in bulk orders for restaurant car magnets. 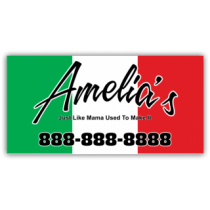 If you have a fleet of vehicles for your business, we have available discounts for your restaurant car magnet needs. 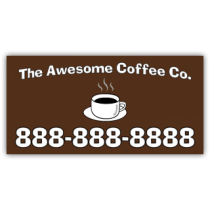 Our high quality 30 mil restaurant car magnets are digitally printed with UV inks & come in a variety of sizes. 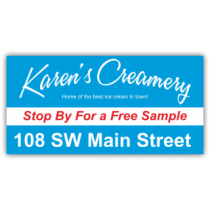 The 12"H x 24"W restaurant car magnet sign is the industry standard. 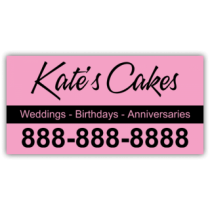 We recommend going with the shorter 12"H x 18"W for those smaller cars or even the 12"H x 12"W for square shaped logo or design.